Who were these kings who attended the birth of Jesus Christ? Bearing gifts we traverse far…..
Did three kings visit a stable in Bethlehem? Wouldn’t an ancient king take his whole household along with him when visiting a neighboring kingdom? Wouldn’t he take soldiers with him to protect him on a journey? Even contemporary royalty and presidents can only travel after all kinds of preparations and communications were finalized. Can you imagine the Queen of England suddenly appearing at your back door? And why gold, frankincense and myrrh? The author of the Matthew Gospel wrote that the Christ Child was visited by Magi or Wise Men. 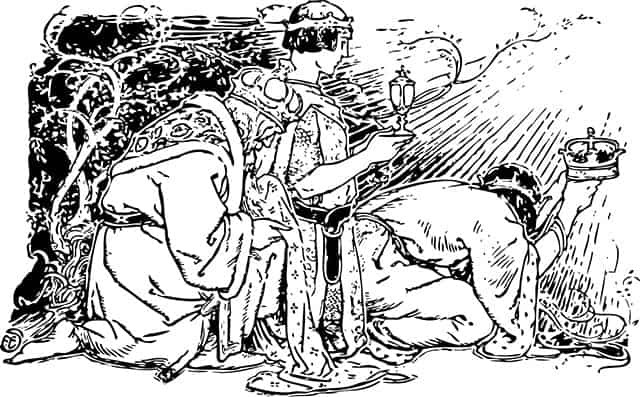 The word Magi comes from an ancient language, Avestan, spoken by the Priests of Zoroaster. The religious texts of Zoroastrianism were written in this ancient language. The religion had its origin somewhere in modern day Iran and is one of the oldest religions still active today. These Zoroastrian priests were astrologers, a highly regarded science in ancient times. Astrologers use the position of the planet in relation to each other to predict what will happen in the future. The word “priests” were translated “kings” in writings from around 500AD and with this change came the erroneous belief that the gift givers were rich and powerful. We can deduce that the Zoroastrian priests were not rich or powerful. They were scholars who believed that the position of the planets pointed to something important that were about to happen in Bethlehem. It is also possible that the gifts of gold, frankincense and myrrh were small in value and quantity. So why would only the author of the Gospel according to Matthew make mention of the visit? When reading a Bible, one might forget how much has gone into the process of producing a copy of the original text. Bible scientists do not have the original letters of the New Testament. They have various copies, which in turn are also just copies of some long lost documents. It is a science in itself to determine whether any words were added to the documents we have now. They also do not know who the actual authors were and although the Gospels must have been written sometime during the first century, Bible scholars cannot date it precisely. Contemporary scholars can also not agree on what the astrologers could have seen in the sky. But what we do know is that the letters of the New Testament was written to convince the readers that Christ is indeed the Messiah. Now in order to convince people of the validity of an argument, it is general practice to refer to people who are highly regarded in society. For the same reason the author of the Gospel of Matthew highlights the visit by the Magi and challenge his readers: If these astrologers know the actual status of the Christ Child, who are you to doubt? The Gifts of Gold, Frankincense and Myrrh: What Made Frankincense a Gift of Choice? From Exodus 25 onward a person can read how, during the 40 days and nights Moses spent on Mount Sinai, God told him exactly how to construct the tabernacle. God told him how everything inside should be constructed and how He wanted the space to be sanctified for worship. God also gave Moses the recipe for the incense that was to be burned in the Holy Place, on the altar of Incense. The ingredients included frankincense. The recipe could not be copied and could only be used in worshiping God. When the author mentions frankincense as a gift to the Christ child, he would have wanted the readers to make the connection with the incense being used in the tabernacle. The author would want them to realize that the life of the Christ Child would have only one purpose: to glorify God. The Gifts of Gold, Frankincense and Myrrh: Why Myrrh? God told Moses to mix an anointing oil containing, amongst other ingredients, 6 kilograms of myrrh. This oil was to be used to anoint the tabernacle, everything in it and all the priests. (Exodus 30:22ff) The tabernacle was to be the tent were God would dwell amongst the Israelites during their forty years in the desert. The oil was not to be used for any other purpose. In Matthew 26, Mary the sister of Lazarus washes Jesus’s feet with perfume. Jesus tells the people who criticize her that she is preparing him for burial, not wasting the perfume that can be sold to help the poor. This perfume could have contained myrrh, because in John 20 Joseph of Arimathea and Nicodemus embalm Jesus’s body using a mixture of myrrh and aloes. Christians believe that Old Testament characters like Isiah and David made prophetic statements that alluded to the Messiah. In Psalm 22 for instance David writes a poem about suffering, but some of the lines have an uncanny resemblance to how Christ would come to die. By pointing out the gift of myrrh at his birth, the author of the gospel was alluding to the death of the Christ Child. He wanted to create the impression that the Magi and the Old Testament prophets had similar prophetic experiences. Frankincense and myrrh will still make a suitable gift today. It still carries the same meaning as in biblical times. 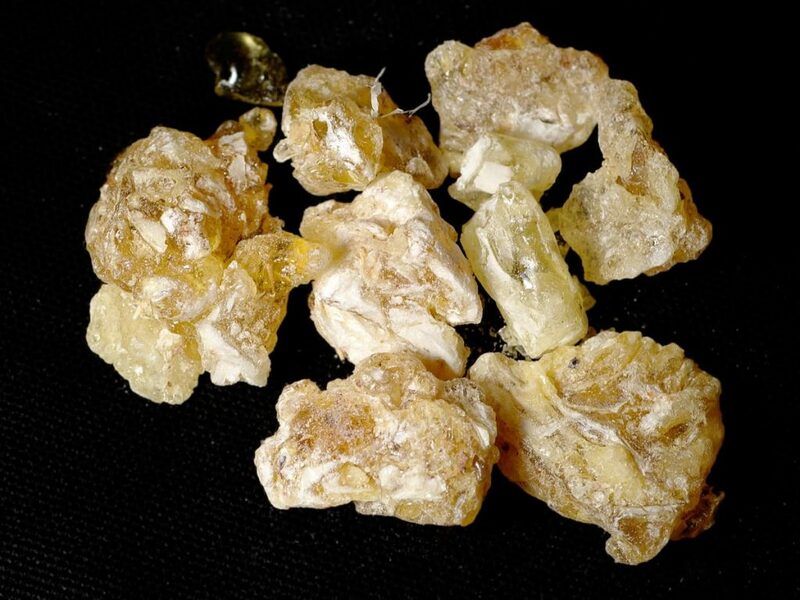 Frankincense can be used to anoint a member of a congregation during a service. This anointing can be because of conversion to the Christian faith or because of illness. Incense can be burned during private devotion and prayer because of the association with worship. It can also symbolize a person’s reverence and respect for God. 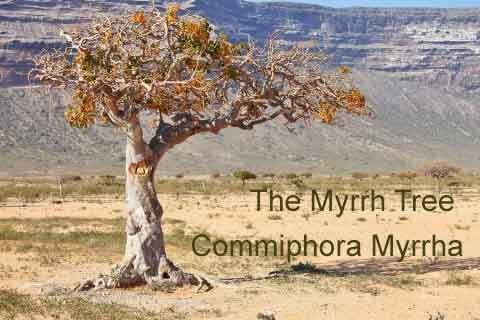 Myrrh still has embalming properties and as such can remind us of our own mortality and also the death of Christ. Granules of these spices can be kept in a glass container as a visual reminder of faith in Christ. Frankincense and myrrh can be given as a gift at Christmas. It can be a novel way to remind a friend or family member of the true meaning of Christmas. Why give the usual gift if it can be the actual gift Christ received? We'll skip the gift value of gold - that hasn't changed in millennia! Buy your very own frankincense and myrrh incense from us - sorry - no gold!!! These high quality products are shipped from US warehouses and should get to you within a few days. Just click on the one you want first to go directly to our shop page.